Chemco Plastic Industries Pvt. Ltd. is the only company in India offering bottles and jars of various sizes and shapes ranging from 15ml to 25,000ml, which covers all your requirements of jars, bottles and preforms are available under one roof. 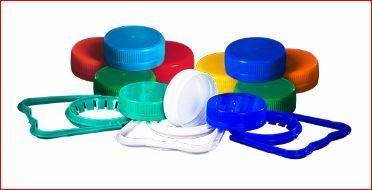 It is one of the leading manufacturers of PET preforms in Asia. Each and every preform is produced using highly sophisticated German or Japanese machinery. This results in a smooth finish, flash free, tailless and uniform wall thickness preform with high clarity and near zero 'A' level. The design is such that while blowing the preform you will get uniform material distribution resulting in superior sturdiness and improved transparency. The preforms are made under stringent quality control class 10,000 conditions. Hence the preforms are free of dust and of superior quality. This gives our customers trouble free production with near zero rejections which saves valuable time as well as reduces their production costs. Our fully equipped laboratory ensures that all products meet or exceed international quality standards. Our design and creativity department regularly releases new products to meet our customer's needs. We also undertake custom jobs for MNCs and customers with large orders.